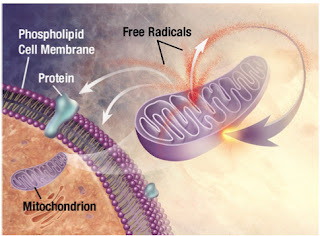 Oxidation occurs when free radicals (highly reactive, high-energy particles) ricochet wildly throughout the body and damage cells. Free radicals can be produced within the body by natural biological processes or introduced from outside via tobacco smoke, toxins, pollutants, and sub-optimal eating habits. Free radicals are believed to accelerate the progression of cancer, cardiovascular disease, rheumatoid arthritis, chronic fatigue, and age-related diseases. Antioxidants found in fruits and vegetables help to neutralise free radicals in our bodies.